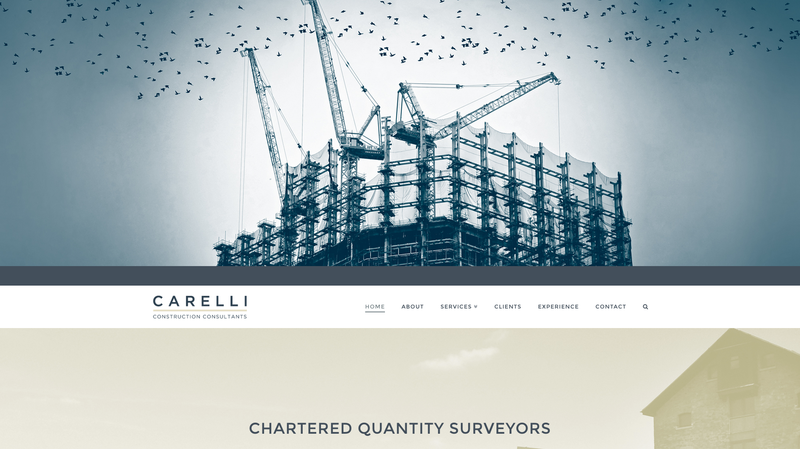 Specialists in cost management and building & construction consultancy services, Carelli were looking for a solid and professional website built upon their already strong foundations. So we set about creating an authoritative and precise design that would inform visitors of the company’s background, their areas of expertise, past clients and means of contact. 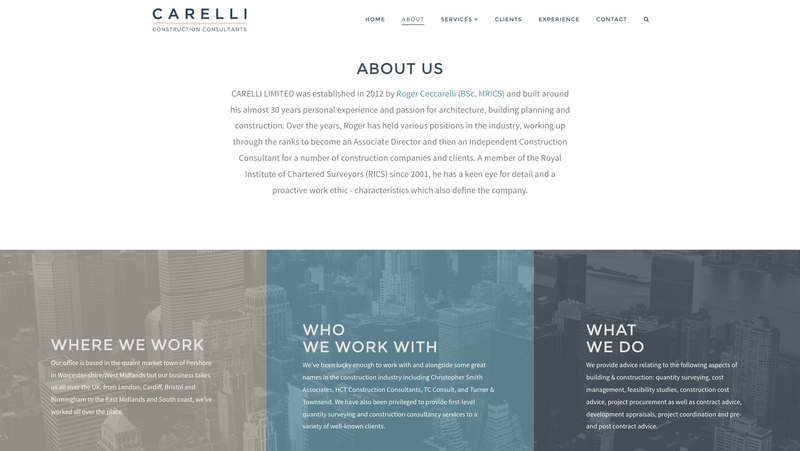 The company wanted a website that provided useful information about Carelli in a clear and concise way. They, therefore, asked us to take a look at their existing draft copy. This was then reworked and edited by our online copywriter based on notes provided by the client as well as research and best practices for search engine optimisation (SEO). Each page layout was designed to be slightly different to suit both the written content and imagery used. 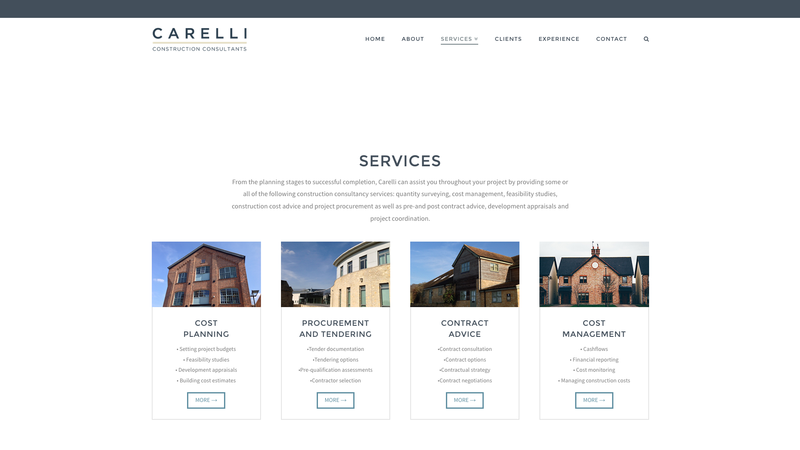 Whilst the main web pages located in the top navigation give a good overview of the company, the service pages below were created to give more focus to the individual construction and consultancy services offered, detailing how Carelli work to assist different clients on specific projects.